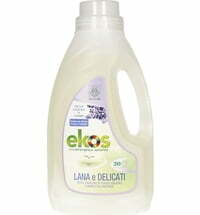 This liquid detergent by Ekos dissolves and removes stains without leaving any residue. 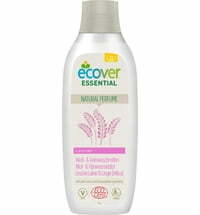 It only contains surfactants from plant origin and is particularly well suited for people with sensitive skin. A 1 liter bottle is enough for about 20 wash loads for lightly to normally soiled laundry at a normal water hardness. 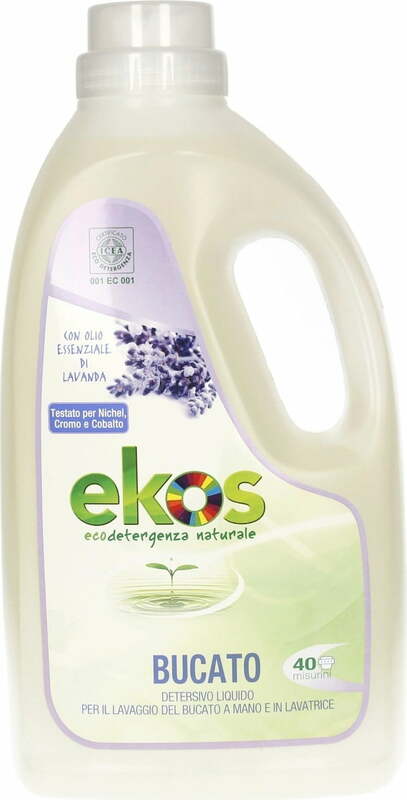 The dosage refers to washing machines with a capacity of 4-5 kg. 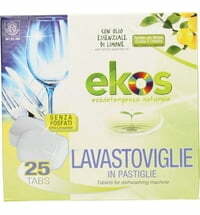 Machine wash: add 50 ml of liquid detergent into the designated tray. We recommend the use of a measuring cup Hand wash: depending on the level of soil, add between 50-70 ml of detergent into 10 liters of warm water. Soak the clothes to be treated and mix by hand, so that all clothes are completely drenched. Leave to soak for approximately 10-15 minutes. Then rinse properly, press out the water gently and hang up to dry. 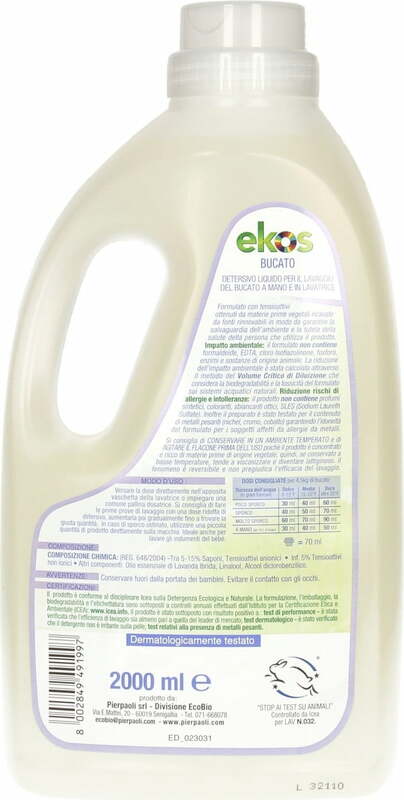 Squeeze out excess water gently, do not twist clothes! Keep container stored in a cool and dry place!